Haven’t had enough tofu in your life? 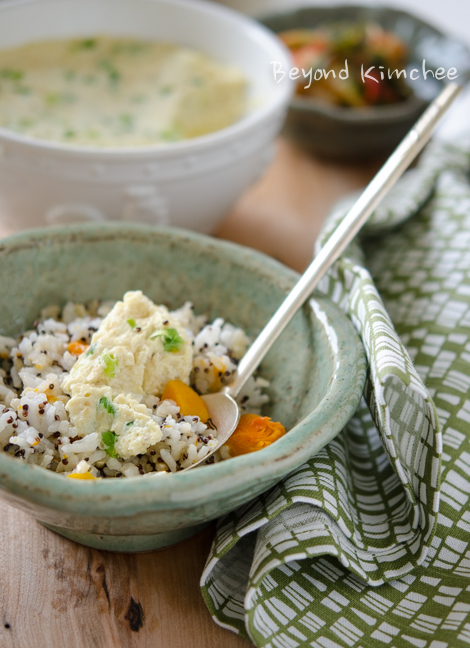 Here is another soft tofu recipe that you might like. 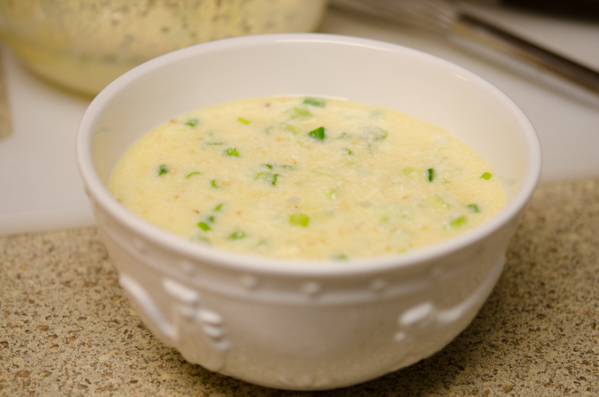 I mixed with eggs and pour some chicken stock and turn them into savory custard-like pudding dish that you can serve warm. 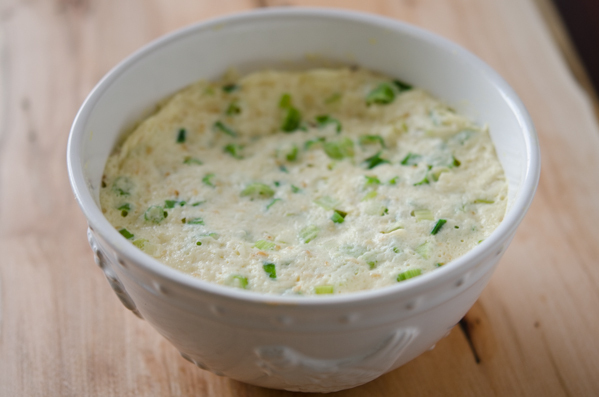 This Tofu and Egg Pudding is a protein packed winter comfort food, and the good news? You can make this in your microwave. This pudding is great to eat own its own or serve over rice with a little bit of kimchi on the side, and you have a complete meal. During the busy holiday season, I want my meal to be simple and quick to prepare, yet still made from scratch to obtain all the nutritional benefits. And this dish fits the bill. 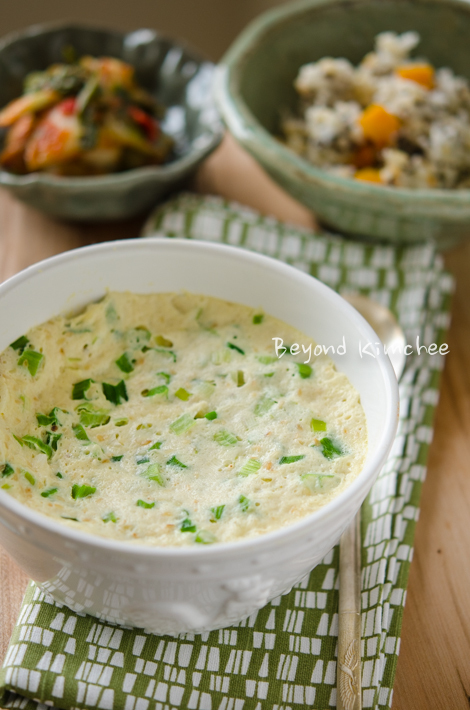 If you like soft (silken) tofu and eggs, I have a feeling that this dish might become your routine. 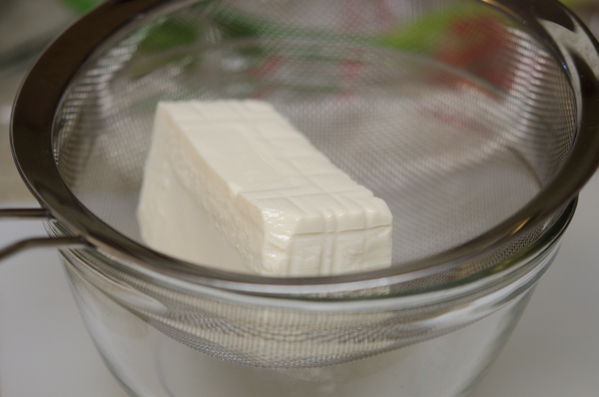 Place a strainer over a mixing bowl and put the soft tofu block. 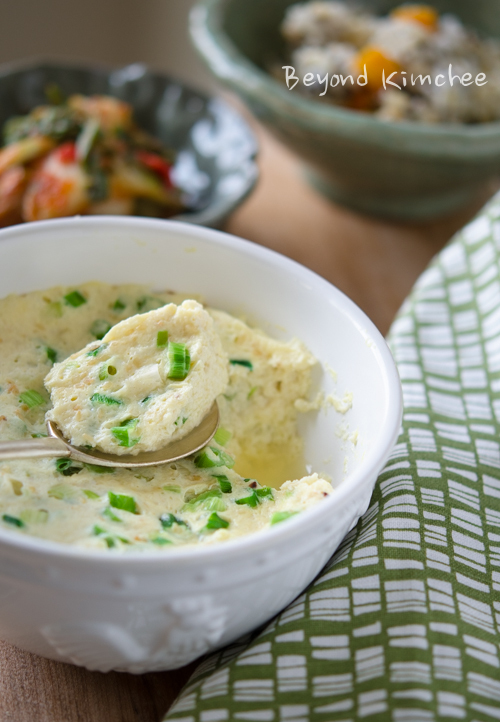 With a back of your spoon, mash the tofu. and behold the grand exit of your tofu! 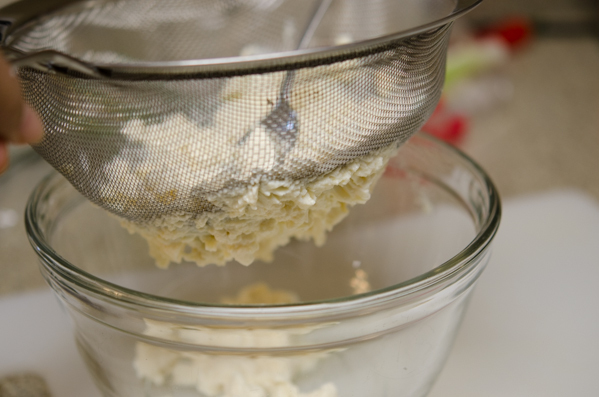 and sieve through the strainer. 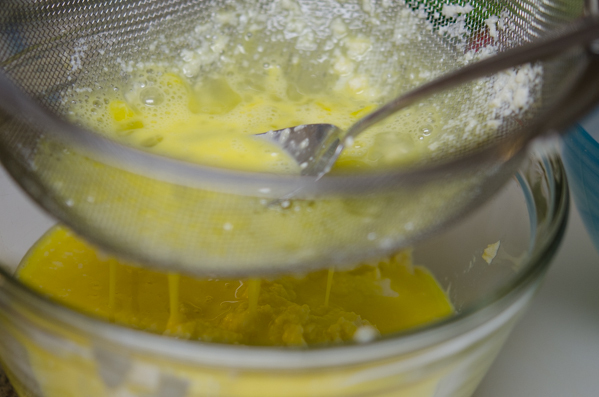 There will be a little bit of egg white residue which won’t sieve through at the end. Just discard it. Pour chicken stock to the tofu and eggs, and mix everything well. Throw some chopped green onion and toasted sesame seeds in. I am a sesame seeds fanatic. Maybe that’s why I am so wacky. This is an optional. 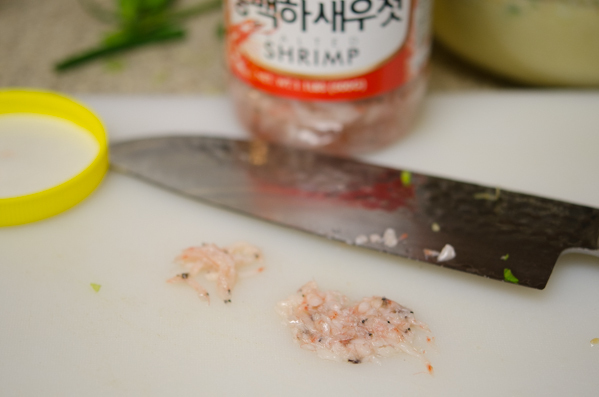 If you have these Korean salted shrimps, chop them up and add in to the mixture. If you don’t have it, add a little bit of salt instead. Pour in a serving bowl that is microwave safe. 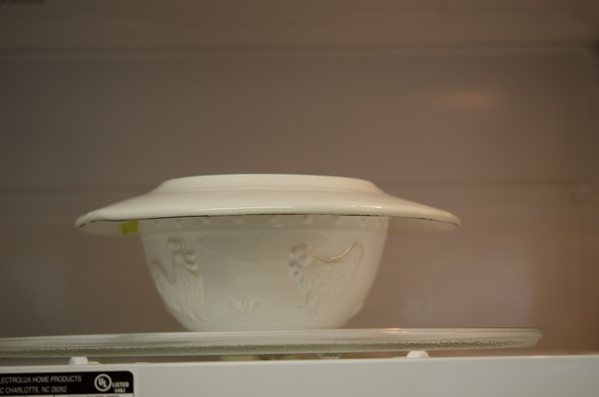 Place the bowl in a microwave and cover with a plate (microwave safe) on top. Cook for 6-8 minutes on high power. The pudding will be very hot when you take out. So, please, be cautious. Let it sit for a few minutes to avoid burning your tongue before you dig in. The puffy top will sink down a little but not too much. Lovely savory pudding is ready to serve. 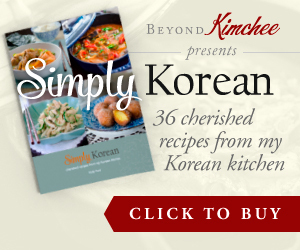 It goes well with any Korean meal as a side or just like I did; I ate it as a breakfast with my quinoa pumpkin rice. The handy-dandy printable recipe is below. Enjoy! 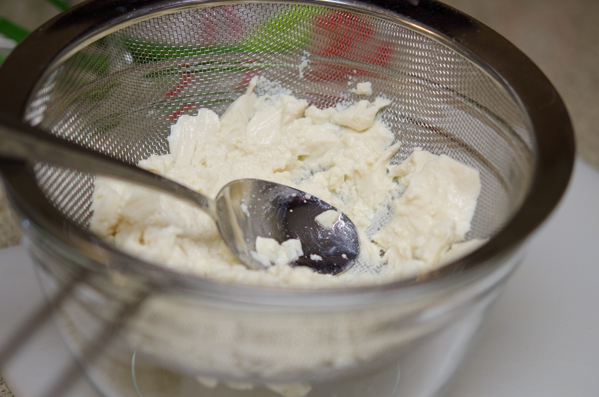 Place silken tofu in a mesh strainer over a mixing bowl and mash the tofu with the back of a spoon. 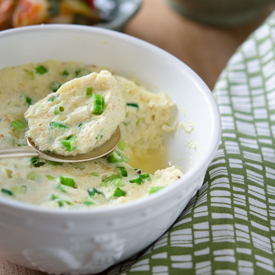 You will have smoothly mashed tofu in a bowl. 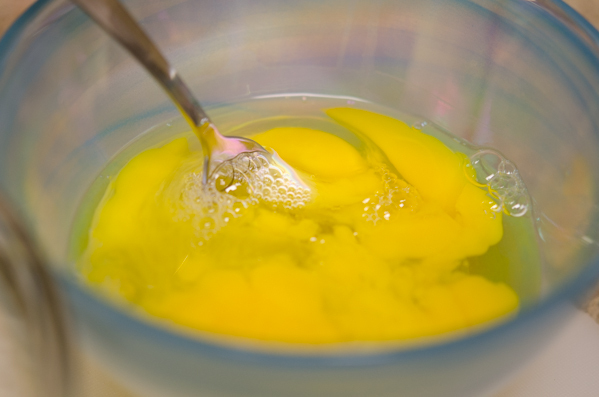 In another small bowl, beat eggs. Seive the beaten eggs through the strainer as well. Add chicken stock to tofu and egg mixture and mix well. If using salted shrimps, finely mince them and add in to the mixture or use salt. 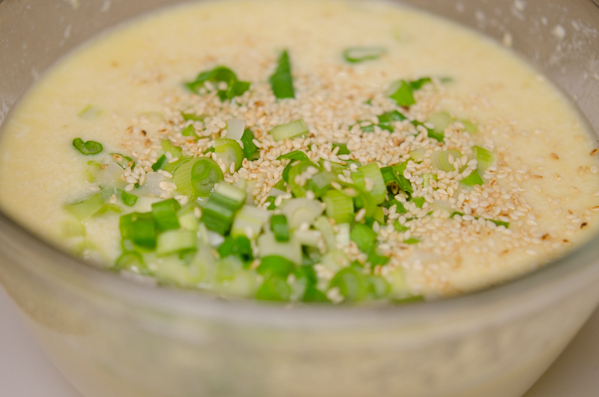 Add green onions and sesame seeds to the mixture and combine everything. Divide the mixture into 2-4 microwave-safe serving bowls and cover with plates (microwave-safe) on top. 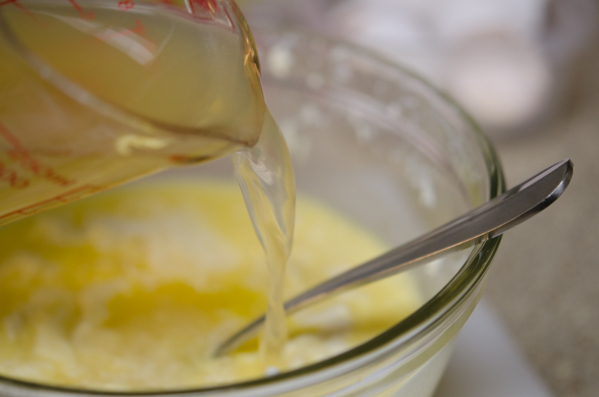 Heat the mixture on a high power setting in a microwave, 6-8 minutes for 2 bowls or 3-4 minutes for 4 bowls. When done, the pudding will be very hot so be very cautious. Serve hot. Really interesting recipe! I don't use a lot of tofu, mainly because I don't know that many truly terrific recipes for it. This looks wonderful - thanks so much. Tofu is a wonderful source to try in many recipes. Hope you get to discover the great potential of tofu in your culinary adventure. I always wanted to know how to make this. I had no idea it was this simple. This will be a great dish for the upcoming cold winter days and nights. It is very simple to make, Elle. Hope you get to try soon. It's a very creative dish, Holly! Never thought of mixing tofu with eggs. It sounds like really healthy and comfy food. Thanks Sue. It is indeed healthy and yummy. It is always amazing to hear how close our foods are. I love the texture of custard. Sounds like the perfect dish to make for lunch on a cold day. The texture is very soft and silky. Perfect on a cold day. It seems so yummy, but I don't have a microwave. Any option on how to make this without microwave? Ooh! We have a version of this in chinese cooking too! It is often just plain steamed egg, but my mum also uses tofu, and sometimes even minced meat seasoned with some soy sauce! Yum! I loveeeee this! Nice, this is a really nice comfort home meal! 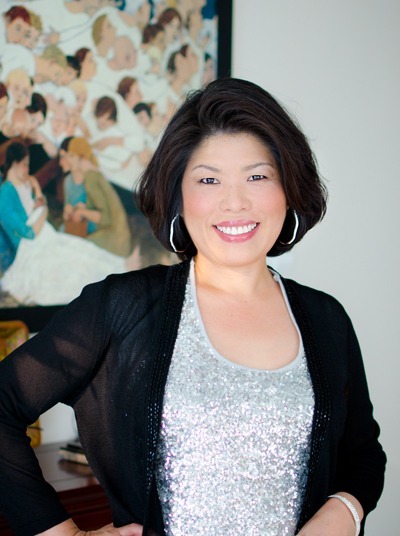 I love egg and tofu together and eating with rice... sounds perfect! Not to mention very healthy. I love this! You're amazing! I love this dish but I can be lazy about steaming it. I never thought about microwaving it!! YES!! We ate this often at home. Someone else made this. Now when its my turn to make this over steaming water in a bamboo rack, mine always comes out with lots of wrinkles. Mine is never smooth on the surface, but I still enjoy it with soysauce. Is it okay if I make this dish a lil bit spicy? looks perfect for dinner. Now tell me about the rice in the first picture. Is it just multi grain rice? yum & thanks again. It is rice cooked with quinoa and pumpkin. Hi Barbara Of course you can steam this dish. Just make sure you cover the top so the water won't get in. I would say about 5-6 minutes depends on how deep you container is. When it is nicely puffed and no wet egg is leaking when you insert a knife into, it should be done. Enjoy!